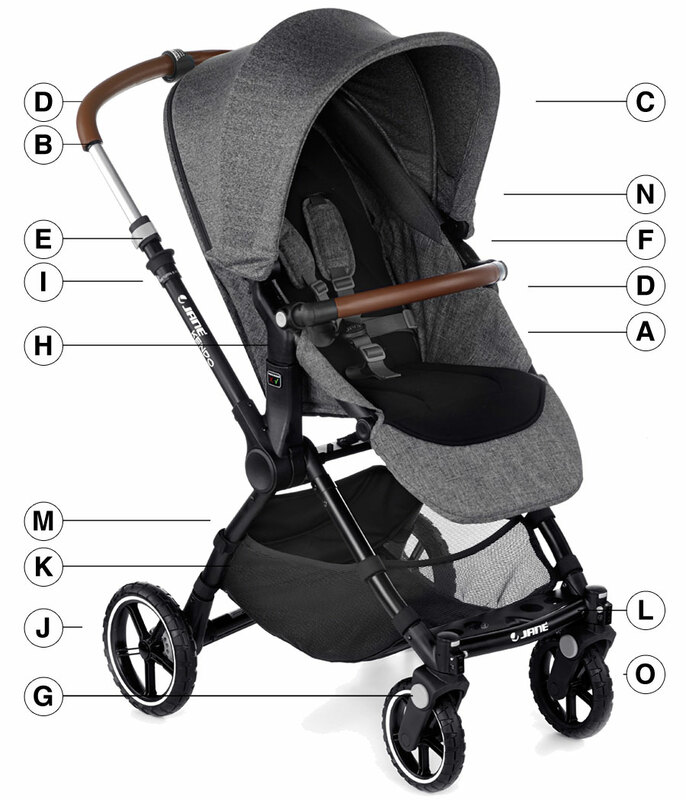 Jané Kendo is the new SUV of pushchairs: solid, utilitarian and versatile. A pushchair that adapts to all types of terrain, being nippy, compact and sporty. Ideal for the hectic pace and routines of everyday urban life as well as for long walks in the mountains breathing the purest air, Kendo adapts to suit any terrain so families can enjoy special moments, Jané moments. 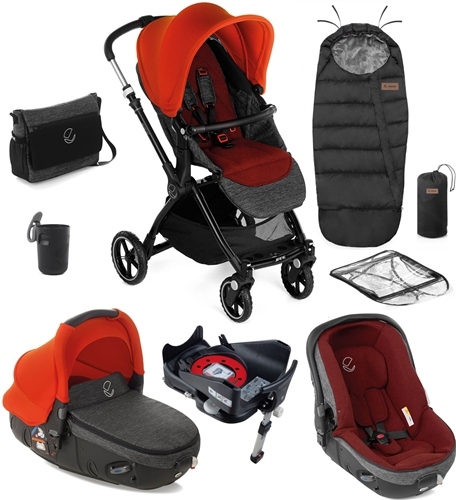 Complete with the award winning Matrix Light 2 car seat that converts into a carrycot. It offers a lie flat position both in the car and on the pram, which is the healthiest way for them to travel especially on longer journeys as there is no time limits. The Matrix Platform is the isofix security system that turns 'Matrix Light 2' into the first carrycot in the world with Isofix. Matrix can also be used for overnight sleeping and is an ideal environment for your newborn as it supports a natural, healthy sleep. Suitable for use from birth. The baby can travel facing his parents or discovering the world. It is light, sturdy and easy to manoeuvre with just one hand. Multi-position reclining and adjustable footrest: maximum comfort for the baby. The synthetic leather handlebar is telescopic so it can be adjusted to suit everyone (89 - 103 cm). • Protects from the wind (windstop). The large storage basket can hold up to 4 kg so you can carry everything you need. The wheels with front and rear suspension are versatile to cope with any terrain. Comes with the hood, basket, rain cover and Changing pram bag so you can take it everywhere. Complete with Matrix Light 2, which can transform into a car seat or Carrycot as required. Safe, healthier and for a better sleep in the early months for baby. The Lie-flat Matrix seat position supports natural, stress-free sleep. The healthiest car seat for newborns on the market, can be used as a lie-flat or sitting-up infant car seat in the car. Health officials and medical studies agree that to minimise periods of oxygen desaturation, newborn babies should be transported in a lie-flat system which is the healthiest way for them to travel especially on longer journeys. This position facilitates newborn respiration, nurtures the abdomen and aids optimal spinal development. The Jané Matrix Light recognises this important requirement and gives your baby the best start in life. Large seat unit with multi-position reclining and adjustable footrest. Lie flat position suitable for new-born. Large puncture proof PU wheels which are 10 times harder wearing with shock absorbing properties. Smooth ride lockable swivel wheels with front and rear suspension. Telescopic adjustable handlebar and protector bar made of synthetic leather. Easy, compact folding system. Folds even with the seat unit attached. Wheels also detachable. Multi-position reclining, fully lie-back seat unit with adjustable footrest, suitable from birth. It is light (aluminium chassis), sturdy and easy to manoeuvre with just one hand. Maximum Protection: Extra-large, extendable and breathable hood repels water and offers UV50+ solar protection. Raincover included. Adjustable ergonomic handlebar and protector made from synthetic leather. Telescopic adjustable handle height (89 - 103 cm). Removable upholstery that can be machine washed at 30°. Versatile front and rear suspension to cope with any terrain. Pro-Fix system (patented) locks and unlocks car seats and carrycots with just one movement, eliminating the need for awkward fitting kits. Simple and compact folding system. Quick release wheels for more compactness when folded. Removable and reversible seat unit so baby can travel facing his parents or discovering the world. Hydrolytic PU tyres; 10 times harder wearing than traditional tyres and with great shock absorbing properties. Complete with hood, basket, raincover set and coordinating pram changing bag. Group 0/0+, 0-13kg, birth to 18 months approx. 4 recline positions. Can be used for overnight sleeping when used with a safety mattress. 2 positions approved for vehicles: (1) Flat position 180°, ideal rest for baby in the first months of life. (2) Sitting position 138°. European Safety Approval: ECE R44.04 UNIVERSAL. Group 0+ seat belt lock, so it can be tightened to give more stability and reduce movement during an impact. Installation with either Seat Belt or its Isofix Platform which makes it the world’s first carrycot with ISOFIX. 5-Point harness allows for a larger fastening surface. More spacious interior and a lighter structure. Automatic belt height adjustment system. Integral shock absorbing material throughout. Pro-Fix connection to the Jané chassis or ISOFIX platform: locks and unlocks with just one movement. Complete with hood & apron. Smartphone QR barcode for in car installation videos. Matrix Light 2 Installation with seat belts, in both lie flat and sitting up positions. The Matrix Platform ISOFIX base - Turns Matrix into the world's first carrycot with ISOFIX. Matrix Light 2 Installation with ISOFIX: Matrix Platform, in both lie flat and sitting up positions. This child seat is classified as “Universal” and is compatible with most vehicle seats. When the car manufacturer states that the vehicle seats are suitable for the installation of “Universal” type car seats, this means that there is total compatibility. For any query, ask the shop assistant when you buy it, or ask JANÉ directly.